The solution - who knows? Listen and enjoy. 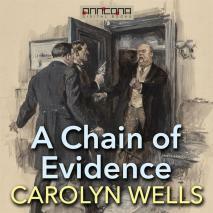 A Chain of Evidence was first published in 1907. Total Running Time (TRT): 7 hours, 19 min.. Reading by Richard Kilmer.